What Are the Treatments for a Hairline Fracture in the Wrist? Wrist fractures interfere with the ability to work and do normal household activities. 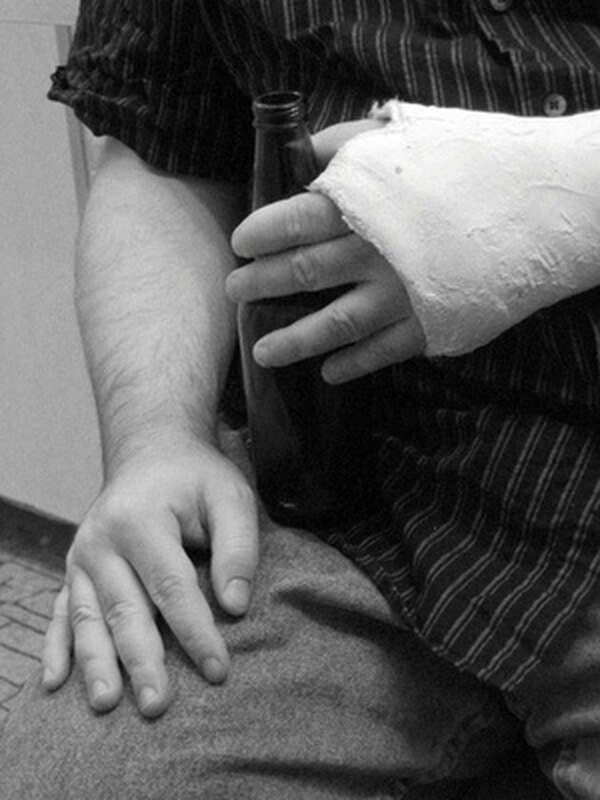 A fall onto the hand or a motor vehicle accident can cause a wrist fracture. The bones in the wrist are aligned to allow the wrist to move in several directions. The radius is on the thumb side of the hand. The ulna is a narrower bone on the little finger side of the hand. A strong membrane connects the radius and ulna in the forearm. Minimal motion occurs at the joint between the radius and ulna in the wrist. Between the ulna and carpal bones, a triangular fibrous cartilage complex, called TFCC, creates an arc with the radius surface. Most wrist motion occurs when the eight carpal bones move on the radius and ulna. Hairline fractures are nondisplaced fractures, which do not cause bone deformity. If they are seen on X-rays taken soon after the injury, they appear as a faint line. In seven to 14 days, bone is reabsorbed during fracture healing. Hairline fractures that were not initially visible show up as a clear line on X-rays. New calcified bone is formed at the fracture site. After 14 days, hairline fractures are a dense white line on an X-ray. Hairline fractures of the radius occur 1 to 2 cm from the joint, across the styloid or in the joint. They are treated with a cast or splint. The prominent portion of the ulna is the styloid. Wrist ligaments attach here as well as the TFCC. Tenderness in this area of the wrist can indicate a TFCC tear. Falls that involve twisting can cause TFCC tears or hairline fractures. These injuries are treated with casting. The scaphoid is a key stabilizing carpal bone. If a scaphoid fracture does not heal, the carpal bones will collapse. Possible hairline fractures of the scaphoid are treated with a cast that includes the thumb. X-rays are repeated at 10 to 14 days to determine whether a fracture exists. Casting continues until the fracture heels. Treated hairline fractures of the wrist normally heal without complication. After applying a cast, most patients have stiffness for a month. Wrist fracture patients are encouraged to use their fingers to minimize stiffness. Three to six months after the fracture, athletes can return to skiing and football. Any abnormal symptoms should be reported to the physician. In rare occasions, the nerves can become stimulated after the fracture creating a painful condition called reflex sympathetic dystrophy. Tendons can rupture then the thumb or finger can’t be fully extended. The wrist joint capsule can be partially torn or stretched. Wrist fluid can bulge out creating a ganglion cyst. Ligaments between the carpal bones can be torn causing painful motion. According to the American Academy of Orthopaedic Surgeons, osteoporosis, weak bones, contributed to 250,000 wrist fractures in 2006. Risk factors for osteoporosis are being female, small-boned, low body weight, fair skinned, sedentary, Caucasian or Asian, and having a family history of osteoporosis. Smoking, eating a low calcium diet, some medications and diseases increase the chances of developing osteoporosis. After a wrist fracturem bone density testing might be done.